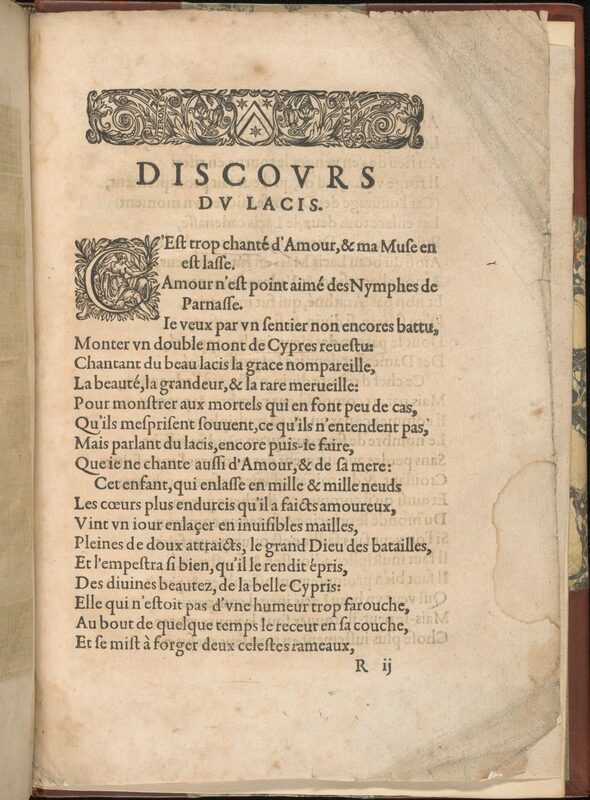 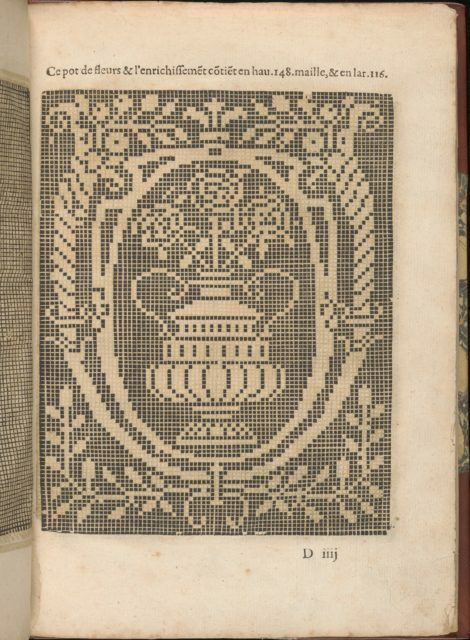 Designed by Federic de Vinciolo Venitien, published by Jean Le Clerc, Paris, dedicated to Catherine de Bourbon, French, 1558-1604. 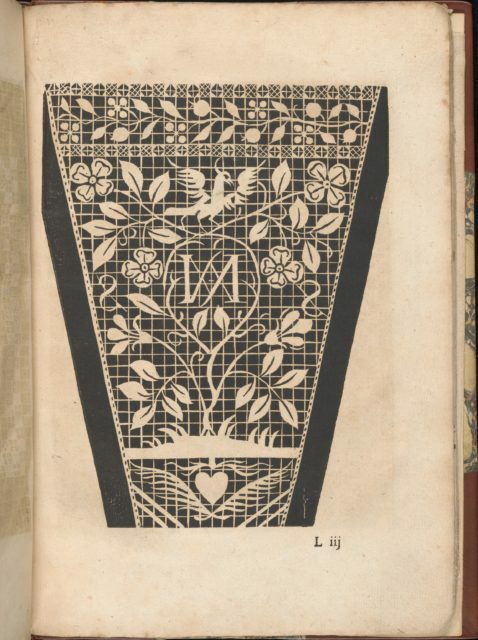 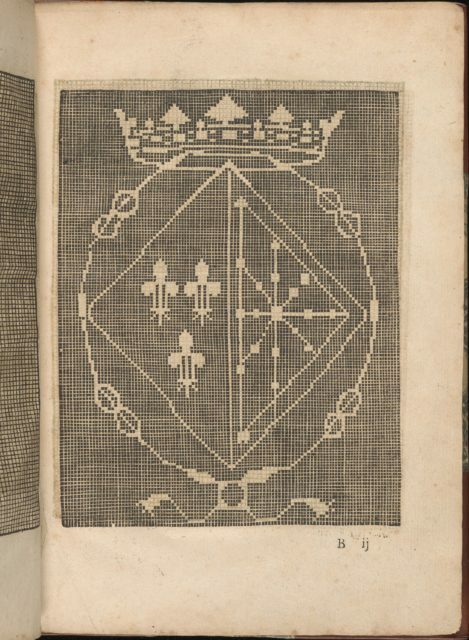 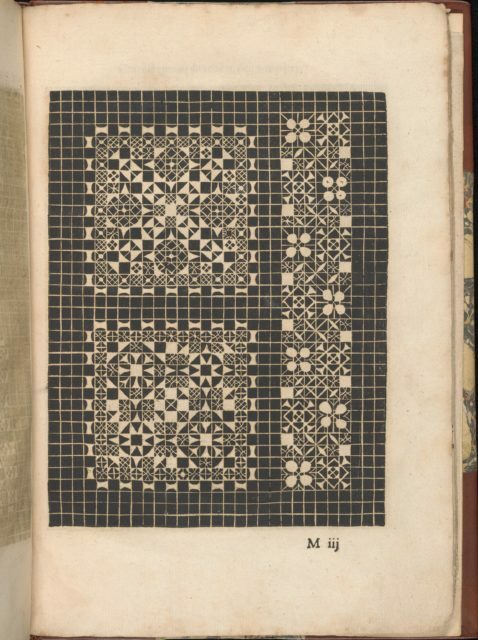 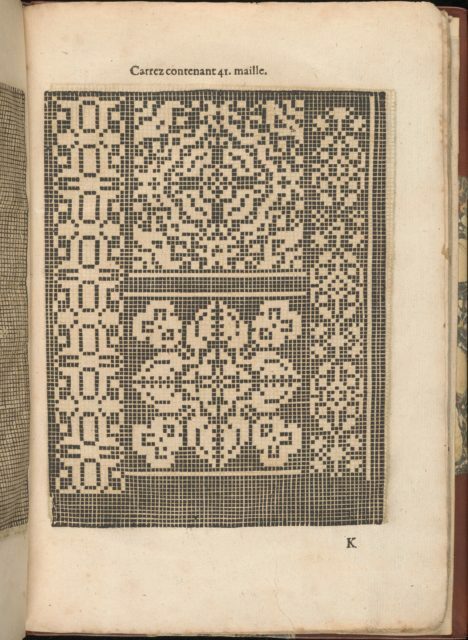 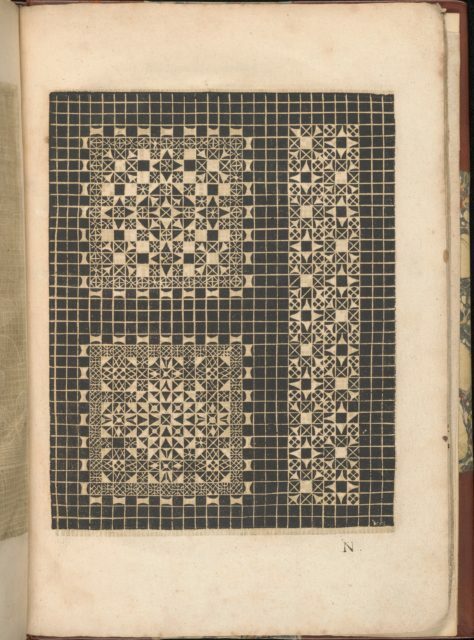 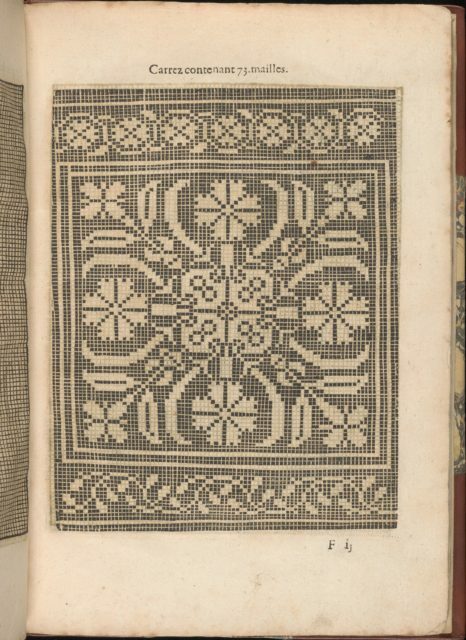 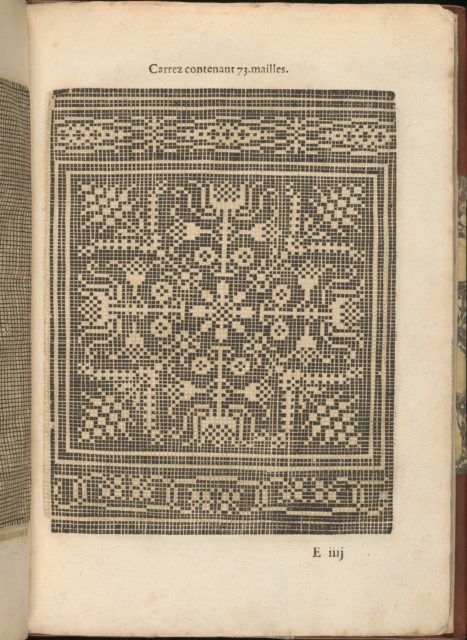 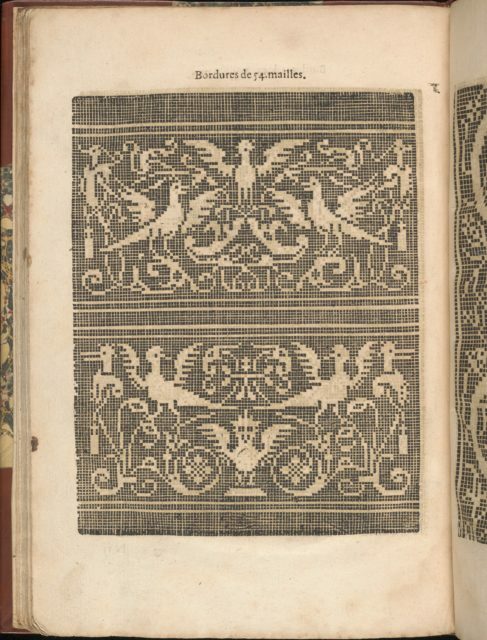 "Discourse about lacing" printed in black with an illustrated woodcut initial "C". 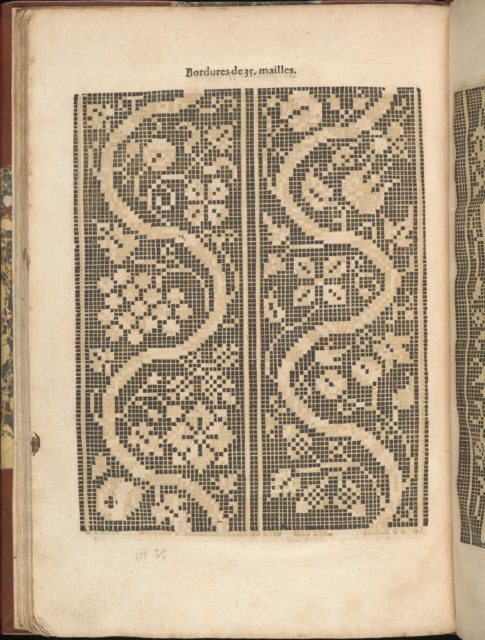 Above the text is a frieze that is decorated in the center with a coat of arms and flanked on either side by curving vines of flowers, among which are 2 inscribed scrolls and 2 snails.